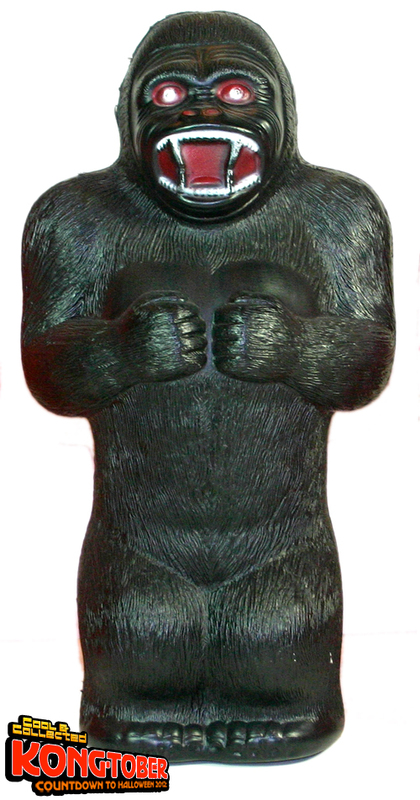 These large blow mold plastic banks are a massive 17″ tall! 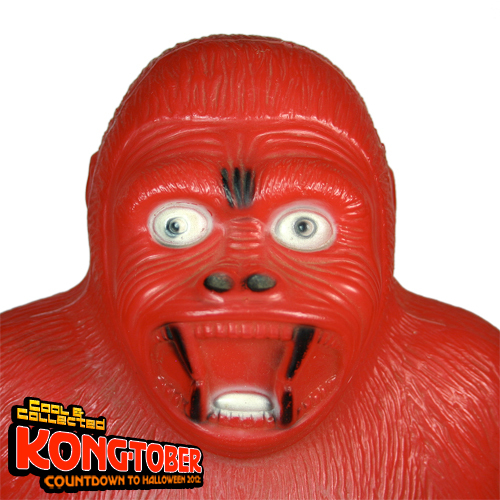 These are truly some of my favorite King Kong items–their size makes a King Kong-sized statement from across the room. In addition to these three color versions, I have seen a teal blue colored bank, and a green one is also rumored to exist. If you have one, I want it! Seriously, send me an email. really. The paint job on the banks vary a bit. Oddly enough, I think the pink one is my favorite. “Don’t be alarmed, ladies and gentlemen. 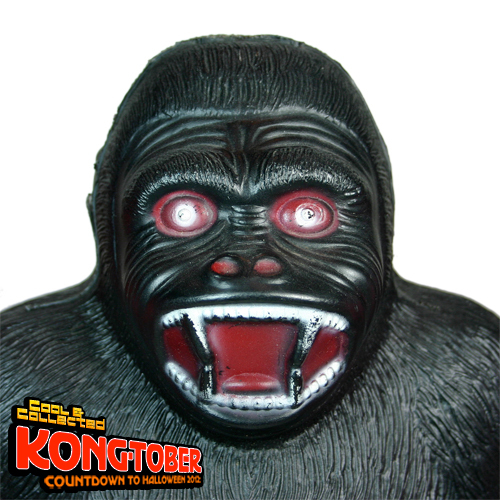 Those chains are made of chrome steel.” All month long, I will be showing off King Kong collectibles from my personal collection in a series called KONGTOBER, so if you’re a fan of King Kong and movie monsters, I think you’re going to like what you see. Hi. I have the blue one. 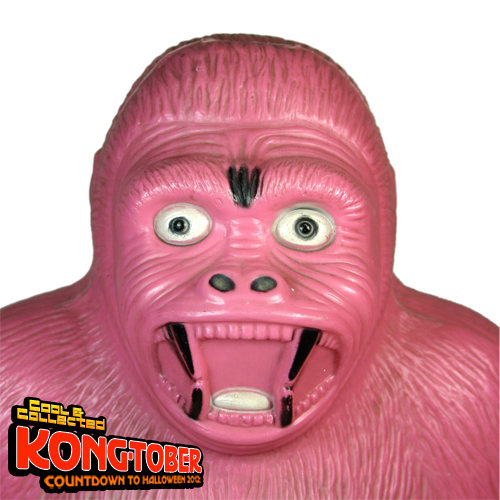 I got him when I was in 1st grade in 1966. I was checking out on line just to see if it would show any of them! I didn’t know what it would be worth now.